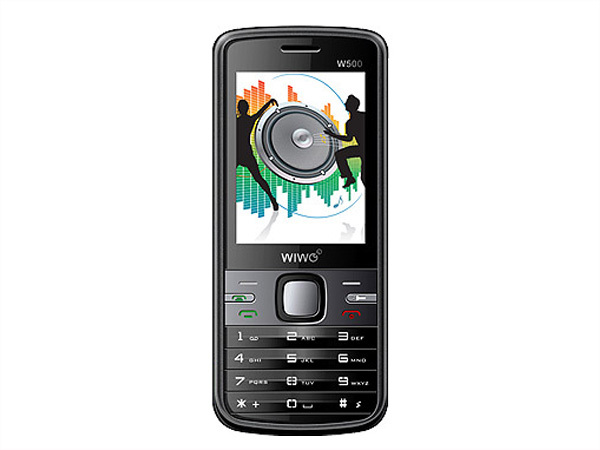 WIWO W500 is a smartly designed music phone that comes in a stylish candy bar design along with 2.2� inch LCD Screen Display, 5 Shot VGA Camera with Digital Zoom option, Dual Sim, Expandable Memory up to 4 GB, Preloaded Games, FM Radio with Recorder, Video Recorder, E-Book Reader, GPRS, Bluetooth, Multi-Language Support, Torch Light with dedicated Keys, and WAP Browser. It has Multi-format MP3/ MP4 Player along with loud Speakers support which is of good quality and clarity and also has noise cancelling ear plugs which allows the user to enjoy the music in a loud volume without any fear of ear damage. It includes Li-ion 1200mAh Battery which gives excellent talk time of 4 Hours and standby time up to 15 Days. The handset is measured in a dimension of 113 X 50 X 15.5mm and operates at GSM 900/1800 MHz frequency.